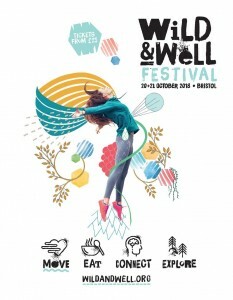 I recently held a workshop at Wild & Well Festival in Bristol. In keeping with the festival’s focus on physical, mental and emotional health and the outdoors the workshop was an exploration of the potential role of Nature in addiction recovery. I am enormously excited to bring this perspective to the recovery community. For although there is a tradition of alternative nature-based therapeutic modalities being used in addiction treatment programmes these are usually fringe elements of the treatment process: some bushcraft skills here; a little equine-assisted therapy there. In practice Nature’s provision sadly remains a vast and largely untapped resource when it comes to counselling and psychotherapy. This shouldn’t come as any surprise. It is becoming increasingly clear that we are operating in a culture that does not meaningfully value the natural world. Commonly, we see it as a material resource, often failing to recognize its vast contribution to our psychological, emotional and spiritual wellbeing. We have evolved within the crucible of the natural world so our psychological makeup is indivisible from the natural and archetypal forces that have shaped us. Remove our connection to it and what happens? More concerning still is the march of economic and technological “progress” that fails to recognise our interdependence with the environment within which we exist, and upon which our physical survival depends. We are perilously close to irreversibly depleting the very ecosystems that sustain human life. This, to me, seems like an astonishing and not-unrelated societal parallel to the individual who is caught up in an unhealthy and unsustainable way of living, who ignores the warning bells tolling around him, who rationalizes short-termism despite the consequences, who ignores his actions’ violations of his values driven by his own blind need for more, who denies his own humanity in order to avoid his discomfort. In short, it seems like excellent modelling of addiction by society to the individual. Is it any surprise we have widespread expressions of addictive states across society with our institutions and cultural systems giving this example? One of the wonderful things about living in these precipitous times is that there is an explosion of awareness about these concerns. We see the shift in public consciousness regarding plastics that has taken place over the last year or so and the resulting votes on eradicating the use of single plastics. Within the humanitarian sphere there are growing branches of therapeutic disciplines and psychological enquiry that come under various titles depending on the focus: nature-based therapy, eco-therapy, wilderness therapy, ecopsychology and so on. 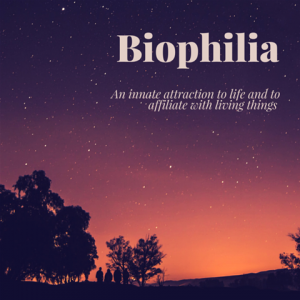 This movement has various roots stemming from outdoor enthusiasts to activism but it began to formally cohere in the 1980’s when Edward O Wilson came up with the Biophilia hypothesis in which he theorised that humans have an inbuilt connection to nature. This hypothesis is in line with many people’s reported experience in recovery. Many of us cite nature as a nurturing, restorative factor in our recovery process. But what is it that we’re experiencing when we feel restored by nature? What does this balming effect have to do with our addictive processes? Are our increasingly urban and technologically-oriented lives affecting our capacity to feel our place in the evolutionary order of things, and how might this impact our choices and patterns as individuals and societies? 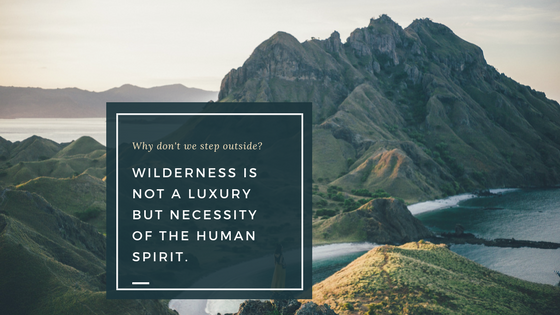 I am devising a nature-based retreat programme for addicts in recovery to explore these questions and deepen a relationship with the natural world. It will include eco-therapy practices, solo time in nature, group harvesting and reflections to help each participant to come into connection with themselves and their environments – their essential nature. They will be held in the beautiful, verdant lands of Devon near Totnes and come closer to finding their own path through the nature-connected wilderness of our times. If these issues and deepening your own recovery process are of interest to you then please check back here soon for announcements on the first retreat in 2018, or get in touch and I’ll be sure to let you know when dates have been set.